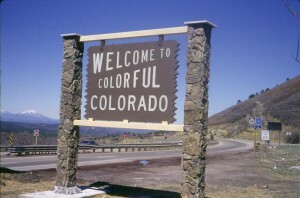 Having Colorado auto insurance coverage is important among state residents who own and drives a vehicle. The Centennial State requires that each motorist in the state must possess liability insurance to ensure financial responsibility in the event that they will cause injuries or property damages. In this reason, it can be viewed that auto insurance is necessary in order to comply with the state laws pertaining to maintaining and operating motor vehicles, and to protect your assets as well as the assets of the other persons involved. In addition, if your vehicle is obtained through car loan, the financing company will require you to have the necessary insurance coverage to protect their interest on the car they have financed for you. In this case, loaned cars usually have higher insurance premiums to pay compared to an owned car’s insurance policy. The minimum Colorado auto insurance only requires motorist to have the necessary liability coverage – Bodily Injury and Property Damage. The minimum limit for Bodily Injury Coverage is set at $25,000 per person in an accident, and $50,000 for all injuries regardless the number of persons involved in one accident. In the event that those people will die as a result of the incident, said amounts are also the limit that your insurance company will pay for you. As for Property Damage, the minimum limit coverage is set at $15,000 per accident. This coverage will pay for all other people’s properties (as mentioned in your policy) damaged in the accident. However, you may choose to buy Bodily Injury and Property Damage coverage with higher limits. The higher your limits are, the better protected you are. Aside from those two, other insurance coverage available in Colorado but not required is the Medical Payments, Collision, Comprehensive, and the Underinsured/Uninsured Motorist coverage. Collision will pay for the damages your car have incurred due to a collision-related accident, while Comprehensive will pay for damages of your car obtained by other causes excluding collisions. Medical Payments will pay for your injuries, pain and suffering. Underinsured/Uninsured Motorist coverage will pay for your injuries and damages in the event that the party involved in the accident is underinsured or does not have any auto insurance coverage at all. Though the state first only required for motorist to have auto insurance liability coverage, since 2009, the state had now required that all insurance policies in the state must have Medical Payments included in all insurance policies. To avoid perils of not having sufficient insurance coverage and to be assured that your insurer can pay for the claims, get your Colorado auto insurance policy from reliable insurance companies. 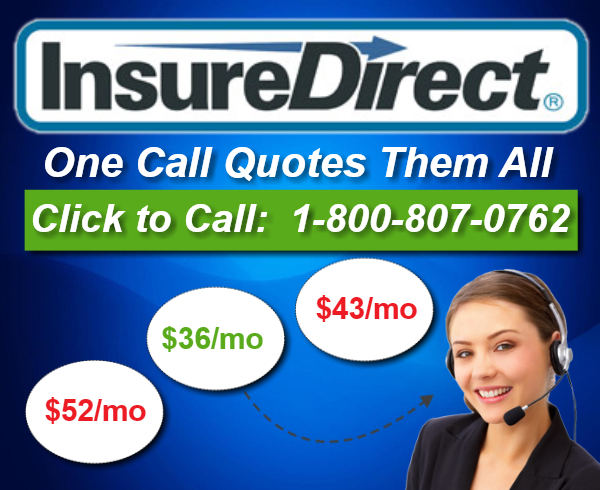 To know how much will it cost you, get InsureDirect.com quotes now or call our Toll-Free number (800) 807-0762.